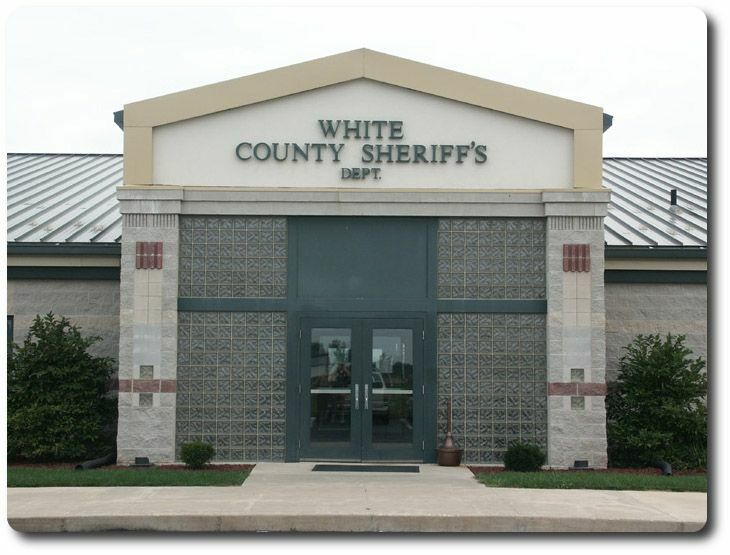 The White County Jail dedication was on Sunday, July 12, 1998, under Sheriff Reg Shireman. The construction of the facility started in August 1996, and was completed in July 1998. The facility has 6 men’s cell blocks, a women’s cell block and a men’s and women’s work release area. The facility has a total of 68 cells with 132 beds. The work release program is capable of directing 40 individuals (32 men and 8 women). The Total Square Footage of the facility is 67,000 ft. The Construction cost was $7.2 million. All of the Sheriff’s offices and the 911 Dispatch are located at this facility. The jail contains 2 exercise areas, and a indoor/outdoor area.